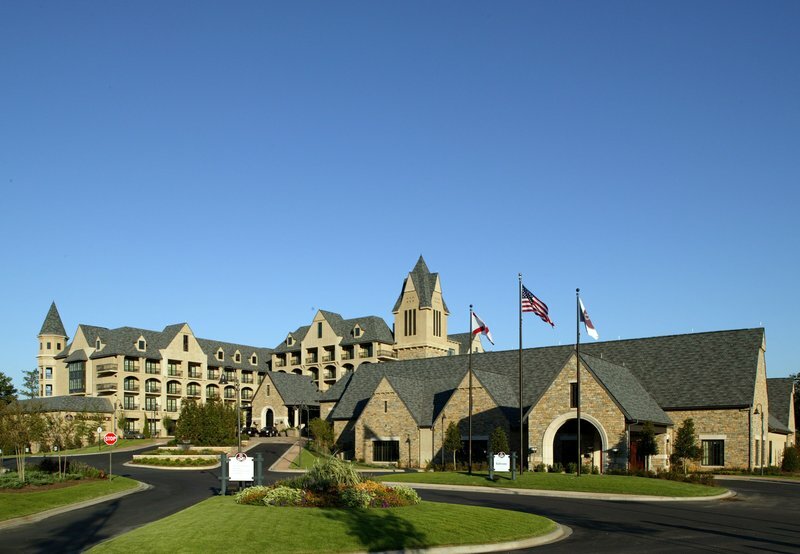 Check Rates & Availability at Renaissance Birmingham Ross Bridge Golf Resort & Spa! Experience the allure of Renaissance Birmingham Ross Bridge Golf Resort & Spa. With a scenic location near Hoover, Alabama, our hotel ensures you're never far from things to see and do. On site, you'll find the fifth-longest golf course in the world at 8,191 yards and 18 holes, as well as beautiful ballroom space and a full-service spa, The Spa at Ross Bridge. Following an exciting day, retreat to one of our stylish rooms and suites, each equipped with elegant furnishings, luxurious bedding and a private balcony boasting astonishing views of the Alabama hills. After a relaxing evening, wake up with an appetite for savory dishes from any of our upscale restaurants and bars including Brock's, The Clubhouse Restaurant and JT's Lounge. When you're not indulging, release some of your energy at our 24-hour fitness center. We also feature sparkling indoor and outdoor pools, so you can make a splash every season of the year. An unforgettable stay awaits at Renaissance Birmingham Ross Bridge Golf Resort & Spa. When it comes to hearty Mediterranean entr es with farm-to-table ingredients, Brock's has you covered. Our signature Birmingham restaurant offers a casual fine-dining experience with small plates as well as a well-curated wine list. A favorite for families, The Clubhouse Restaurant serves crisp salads, perfectly prepared burgers and other classic American cuisine in a laid-back atmosphere. Enjoy an appetizer before your meal. The Coffee Shop offers so much more than a fresh cup of joe to get your day started on the right foot. Enjoy a host of snacks and pick up a memento or souvenir from our gift area. Gather with friends and colleagues at JT's Lounge after a busy day in Hoover. Our bartenders specialize in creating handcrafted martinis while you savor light fare either indoors or outdoors. At night, our lounge plays host to live entertainment.